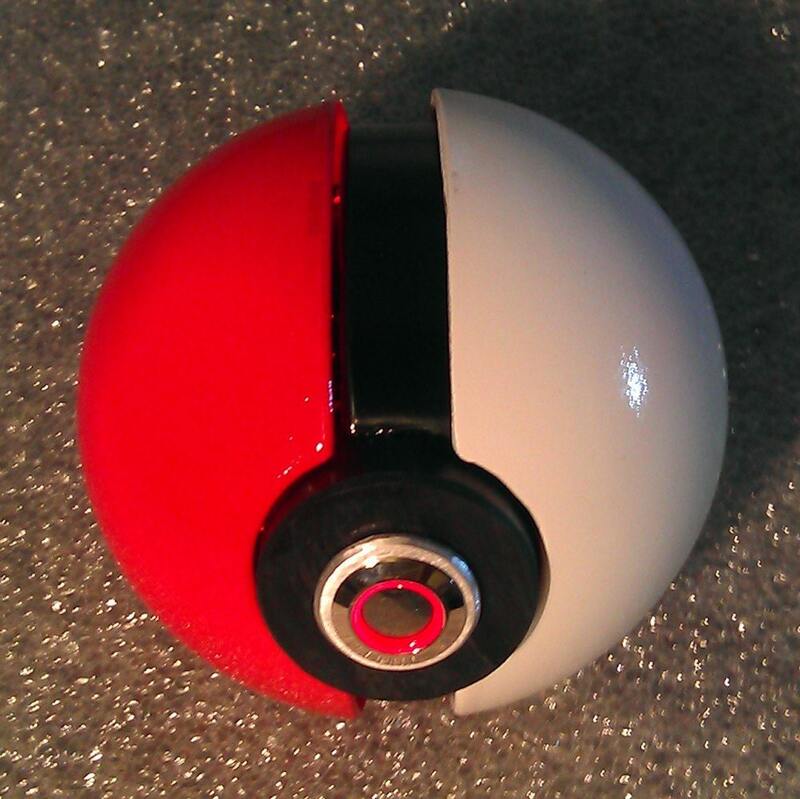 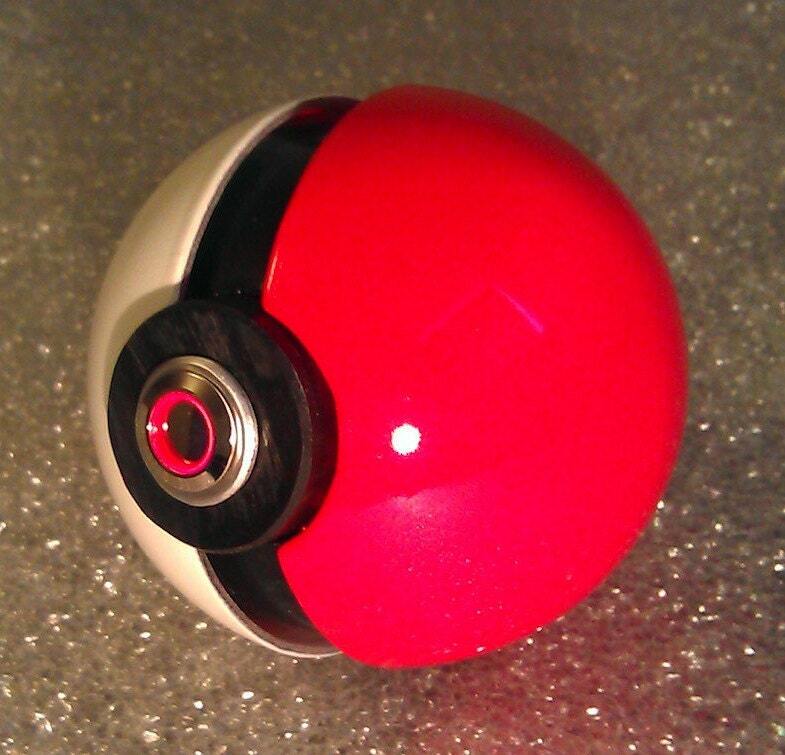 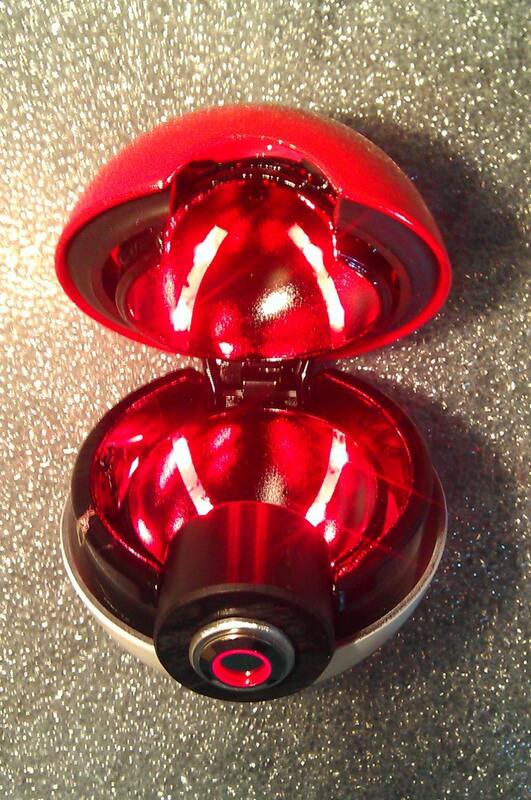 Custom Pokemon ball with integrated lithium polymer battery pack. 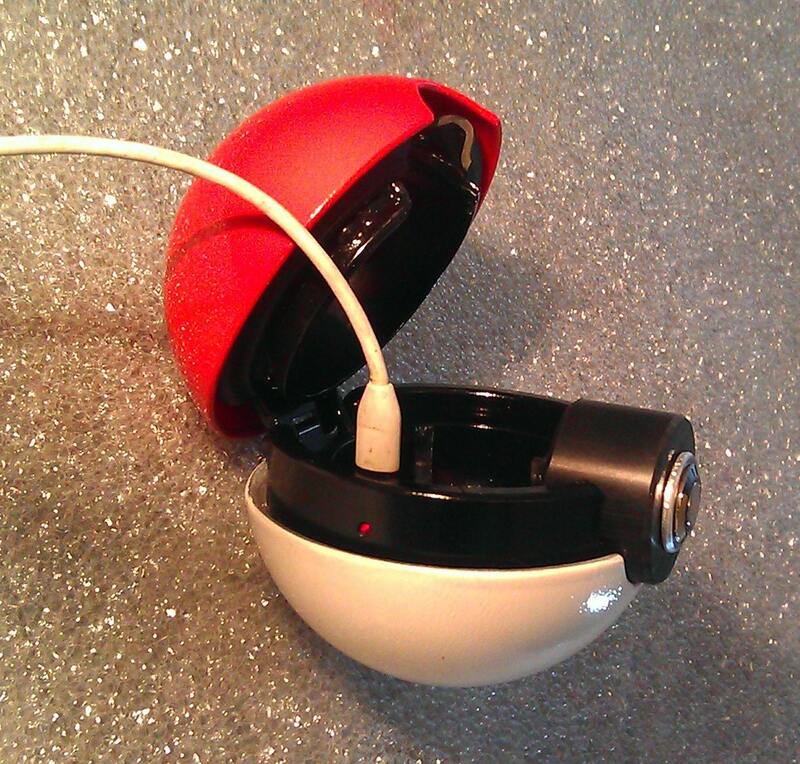 Rechargeable using standard micro USB cable and any cell phone charger. 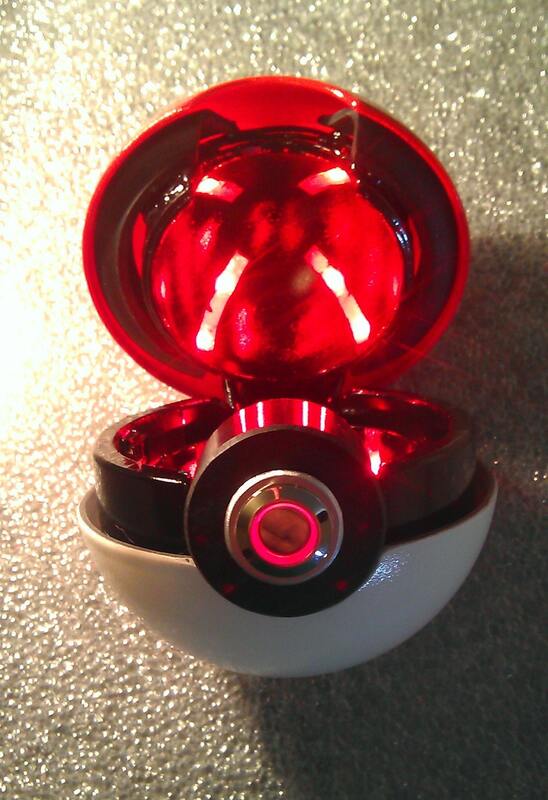 Chrome On/Off button glows red when on and activates internal LEDs.